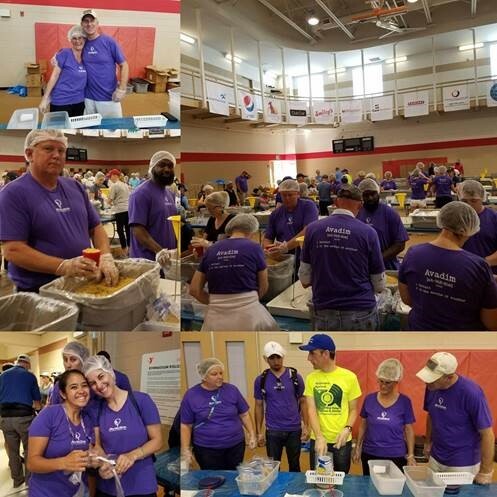 Avadim Technologies Inc had the pleasure of joining Rotarians Against Hunger (RAH) to package meals for the local Western North Carolina (WNC) area. It is said that 1 in 5 people in the WNC area receive assistance every year. That number includes 26.7% of the children in the region. Since 2010, local Rotarians have gathered to build meals to alleviate the local problem. 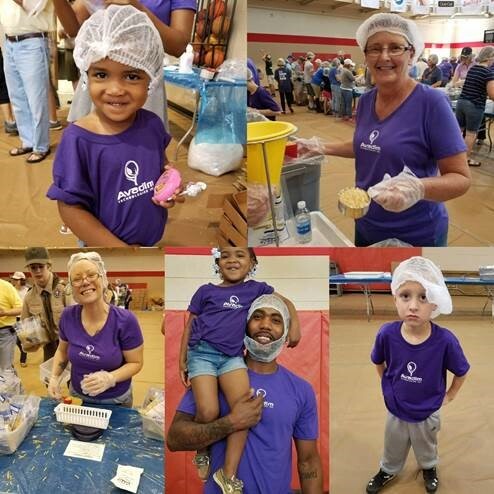 Over the last 6 events RAH has packaged approximately 1.9 million meals. The meals are distributed through MANNA Food Bank. The Avadim team showed up in great numbers. 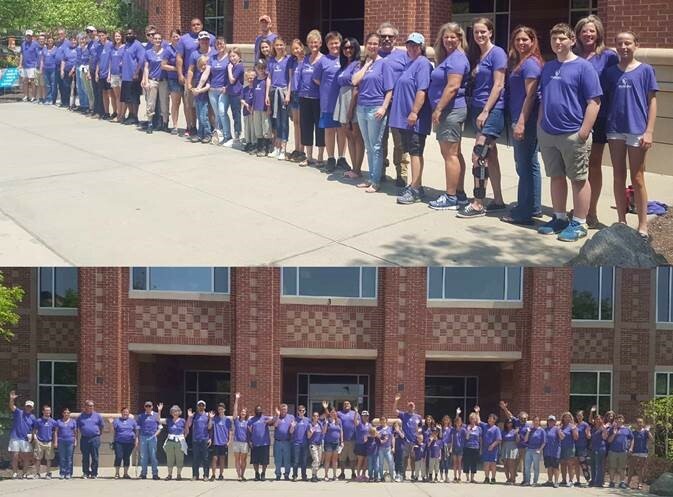 About 60 employees and their families showed up in purple shirts throughout the two-hour volunteer window. During that time the team was spread throughout the gym at the YMCA. Some broke down boxes, filled bags with macaroni, weighed the bags, sealed the bags, and then boxed the bags. Over the course of the day the RAH Volunteers packaged just about 300,000 meals. Several team members stayed longer than the two-hour window that the team was slotted for to try and make that goal of 300,000. On the back of the shirts it said Avadim [ah-VAH-dim]. Avadim means 1) Servant 2) In the service of another. 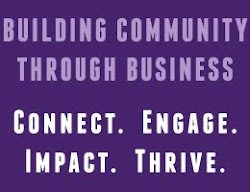 It was apparent at the YMCA that this company lives out that meaning. 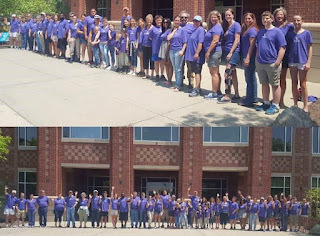 The Avadim team showed up in numbers and served well. Please see below for pictures of our time. Avadim Technologies – Here to Serve!